yesterday japan was celebrating the " hinamatsuri " called the girl's day ( also doll's day ). 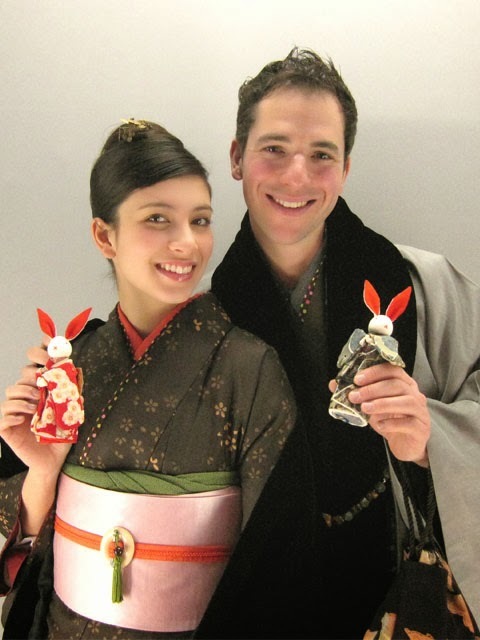 Hinamatsuri is celebrating each year on March 3. On this day families with young daughters celebrate this event at home to ensure their's daughter future happiness. Normally families have platforms at home which one they covered with a red carpet. They will display a set of ornamental dolls ( hina Ningyo ) representing the emperor, empress, their subordinates and musicians in traditional court dress of the Heian period. Hina Ningyo are ceremonial dolls and they are a heritage of the family, from generation to generation. Normally this festival is celebrating for the little japanese girl, and they will cook and prepare some food and cake to be given to the dolls. Many differents types of Hina ningyo have been created around Japan.Traditionally, girls will invite their friends and they will do home party. If you want to experiment the japanese kimono with your friends and feel the tradition of Kyoto, please come to Kyoto Kimono Rental 41 located in the city !